In my fifteen years of teaching in the elementary panel, there always seems to be one pressing question that parents ask during parent-teacher interviews: Why does my child rarely have homework? And in my experience, the younger the child, the more eager parents are to learn the answer. While the debate surrounding the ideal amount of homework continues, the fact that parents show an interest in their child's learning outside of the classroom is a clear indicator that they want their children to thrive throughout their learning journey. Their question is usually followed by inquiries into ways they can support their child's learning and if I could recommend any helpful resources. 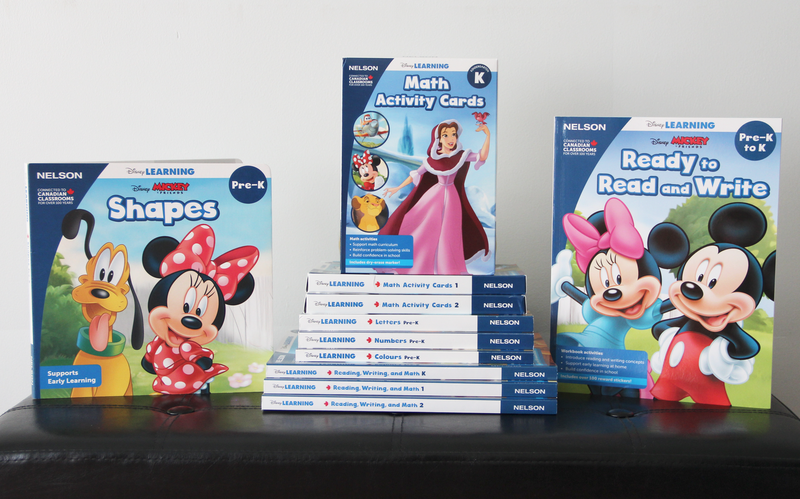 For this reason, I am delighted to share the exciting news that NELSON, Canada's leading educational publisher, has recently expanded their home learning portfolio with the launch of NELSON's Disney Learning products. One of my top tips for parents is to read regularly with their children. Not only is it a great way for parents to bond with their children, it improves their vocabulary and language skills, exercises their brain and develops their imagination. 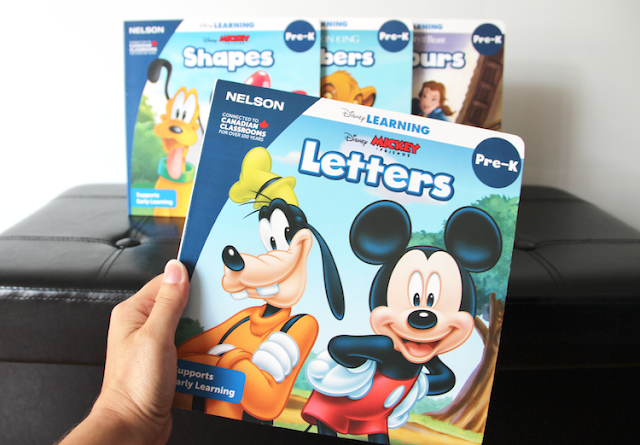 With NELSON's Disney Learning board book series, preschoolers will enjoy learning all about letters, numbers, shapes and colours with their beloved Disney characters. Designed in consultation with Early Childhood Educators, these board books are a great way to support early learning even before your child enters Kindergarten. 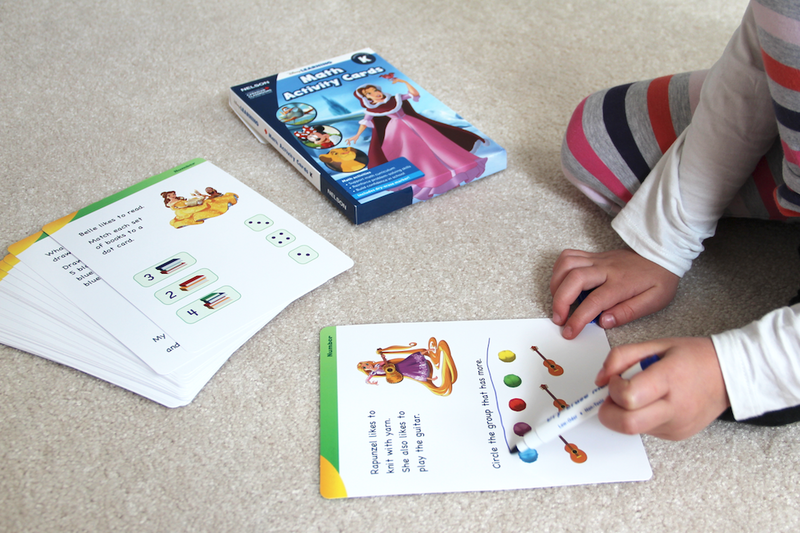 With each turn of the page, children get to practice and have fun together with their parents, all the while reinforcing literacy and numeracy concepts and applying them in everyday life. Each book includes built-in questions to develop key concepts and extend their learning. And did I mention that these books are filled with brightly coloured illustrations that include many classic Disney characters? While most parents read to their children as part of a bedtime routine, any time is a great time to pick up a book and read. Leave these durable board books on the coffee table or breakfast counter where they are easily within reach and enjoyed after breakfast or during snack time. 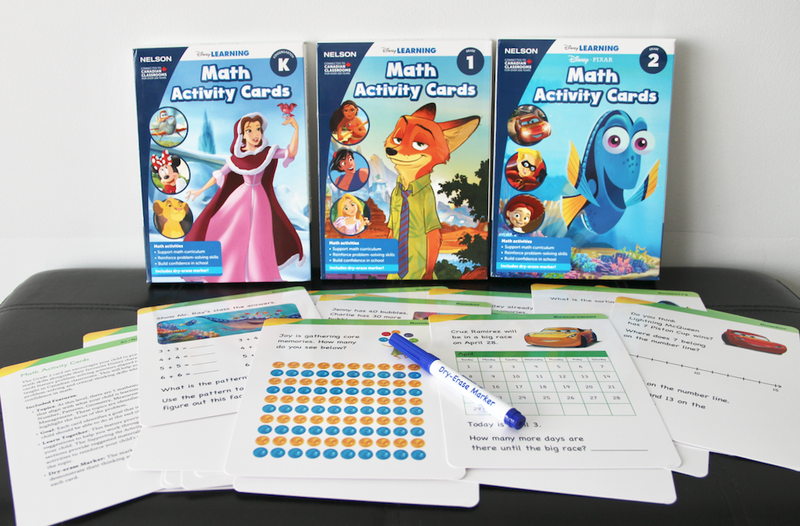 Among NELSON's Disney Learning products that we received for review, I am most excited about the Math Activity Cards series. There are three sets, one each for Kindergarten, grade 1 and grade 2 students, and each includes a stack of laminated activity cards, along with a low-odor, non-toxic dry-erase marker. Each activity card focuses on one of five mathematical concepts. The best part? They are aligned with Canadian curriculum: number sense, geometry, patterning, measurement and data management. The topic is indicated on the top right corner of each card and the learning goal is located on the back where parents can also find tips and ideas on how to work through the activities with their child and extend the learning. I recently had an opportunity to test out some of NELSON's Disney Learning products while babysitting my four-year-old niece and her little brother. My three-year-old nephew showed more interest in the board books, but my niece, a recent Kindergarten grad, was eager to try out the dry-erase activity cards. We started off with the Kindergarten set and she was determined to complete all the activities in one sitting. I read each activity out loud and together we analyzed the pictures and discussed ways we could solve the problem. She absolutely loved being able to use a dry-erase marker and easily erase her answers, which is true for most students, in my experience. Younger students are especially fond of being able to fix their mistakes in an instant and are more confident to risk an answer knowing that the dry-erase marker is not permanent. Plus, the marker itself is slightly larger than primary pencils and glides easily, making it more suitable for smaller hands that are still perfecting penmanship. Ready to Read and Write for Pre-K to K: The general focus is on printing, letter sounds and word knowledge. 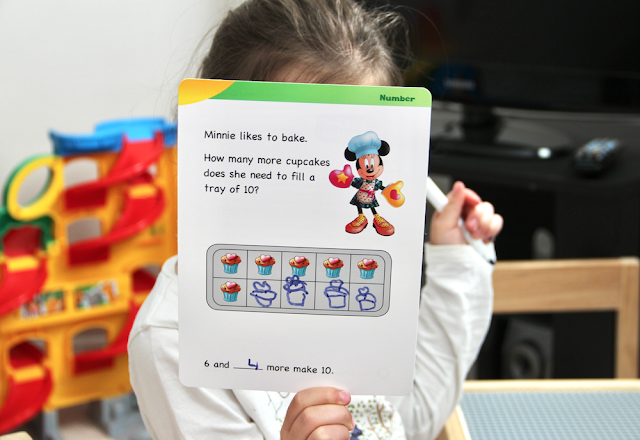 Reading, Writing, and Math for Kindergarten: Activities reinforce letter recognition and word knowledge while building on comprehension, number sense, patterns measurement, geometry and the use of data. Reading, Writing and Math for Grade 1: The contents in this workbook include comprehension, writing, addition and subtraction. Content includes punctuation, non-fiction text, poetry, 3D shapes, graphing and more. 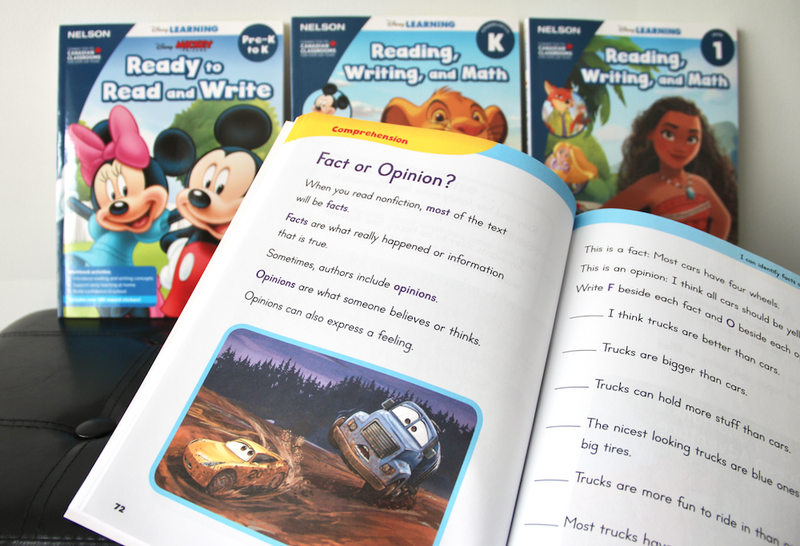 Reading, Writing and Math for Grade 2: Building on concepts covered on earlier books in the series, this workbook includes content that looks at consonant blends and digraphs, contractions, and story elements, and also introduces multiplication and division. I particularly love the material is aligned to Canadian curriculum and that the activities that cover the concept of money show Canadian coins, without the discontinued penny! Each workbook comes with two full sheets of reward stickers, a certificate of completion and parent support pages with ideas for extension. 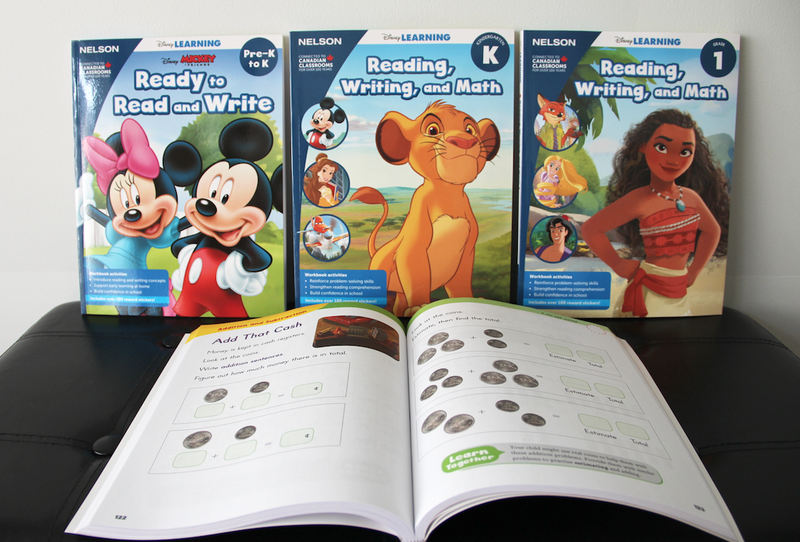 Developed specifically for the Canadian market and to support the Canadian curriculum, NELSON's Disney Learning series offers an engaging way for parents to support early learning, and reading, writing and math for older children. There are currently available for at nelson.com/disneylearning and ranged in pricing from $9.99 for board books and $12.99 for activity cars to $14.99 for workbooks. They are already popping in select retail stores across Canada. In fact, I recently spotted them at Shoppers Drugmart. And oui, there are even select resources en français! Disclosure: I am participating in NELSON's Disney Learning campaign and have received special perks. Any opinions expressed in this post are my own. I love these and this was an awesome review, I will have to check it out more! Thanks, Lynda! I've already spotted a number of the workbooks and board books in a couple of retailers. This would be great for my granddaughter; she absolutely loves anything Disney! 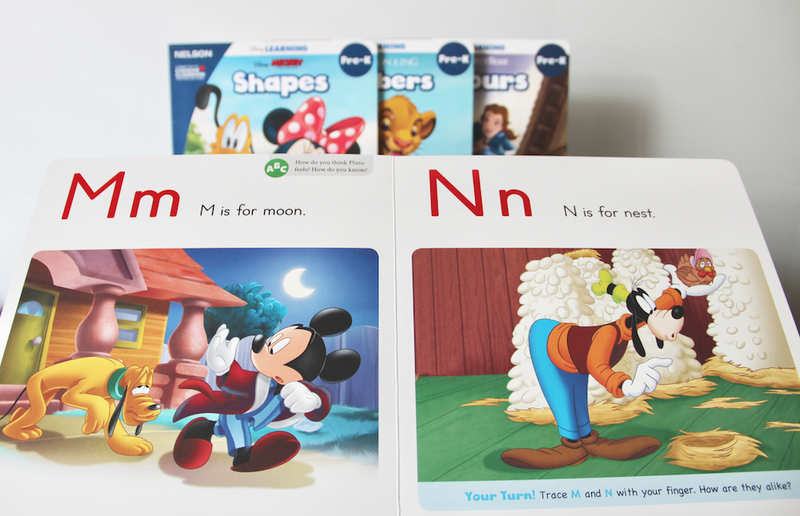 Learning with your favourite Disney characters sounds like a win-win to me! Looks great. Kids will fall in love with them. 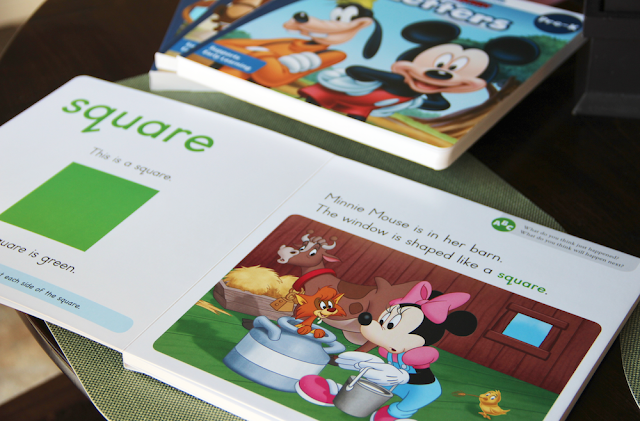 My kids are all big Disney fans, so I know that these learning tool would draw them in! Oh, for sure! My niece keeps asking me to work with her on the dry-erase activities. They would definitely love them! Exactly! They were a big hit among my niece and nephew. I love that this was developed for the Canadian market to go with Canadian curriculum. This will inspire fun and learning. It's great that it was developed with the Canadian curriculum in mind.